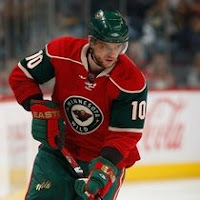 Winger Marian Gaborik agreed to a five-year contract with the New York Rangers which will pay him $7.5 million per year. Gaborik was pursued by a handful of teams, but the Rangers were able to use Scott Gomez' recently vacated salary slot to pay the oft-injured forward the premium coin. 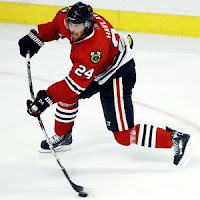 Smarting from the loss of their star player, the Minnesota Wild went to work and agreed to a deal with forward Martin Havlat on a six-year, $30 million contract. Minnesota is also reported to be one of two finalists, along with Anaheim, to secure the services of former Montreal captain, Saku Koivu. The Wild already employ Koivu's brother, Mikko, who led the Wild in scoring last season. 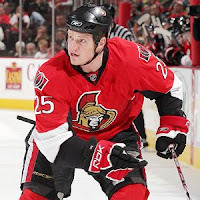 Forward Chris Neil agreed to a four-year, $8 million contract to remain with the Ottawa Senators. Neil, reportedly turned down offers from the New York Rangers, Edmonton Oilers and Toronto Maple Leafs. ... and surprise! The Dany Heatley saga continues! According to TSN's Darren Dreger, "Heatley wont decide tonight. He believed NYR and SJ were the main targets before Oilers offer was accepted." Meaning now Dany is in charge of all business decisions for the Senators. Seriously people... why would anyone want this guy on their team?